The Blandy family is unique in being the only family of all the original founders of the Madeira wine trade to still own and manage their own original wine company. Throughout its long history on the island, the family has played a leading role in the development of Madeira wine throughout its long history and members of the family continue to live on Madeira, maintaining a tradition that goes back to 1811; 2 centuries of fine wine production. The Terroirs of Madeira islandThe island of Madeira, of volcanic origin, was discovered in 1419 by the Portuguese Captain, João Gonçalves Zarco, and is an archipelago composed of two inhabited islands – Madeira and Porto Santo – and two small uninhabited islets, the Desertas and the Selvagens. Madeira's location in the Atlantic made it an important strategic port of call which led to the rapid expansion of the island's wine, especially in countries such as the United States of America. It was so popular in the USA that in the 18th century, Madeira wine is reported to have represented over 75% of all wine imported into this market. The archipelago is situated at 35º 45º latitude north and 17º latitude west, about 1100kms off the coast of Portugal, and 590 kms off the coast of Morocco. 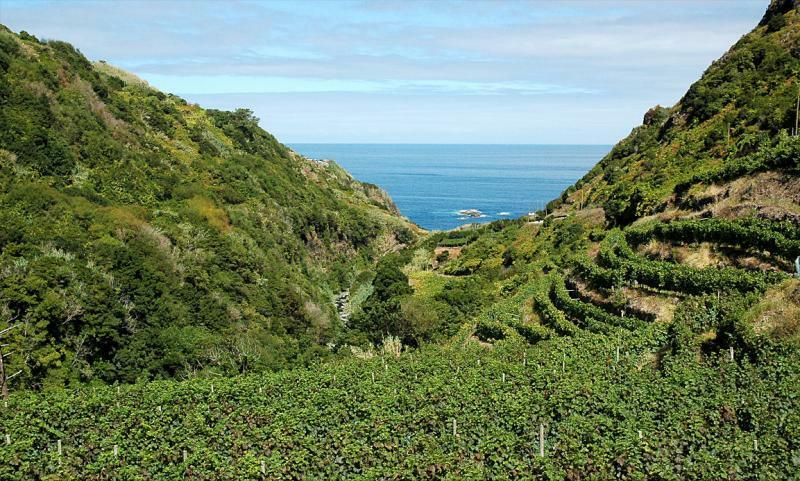 The total area of the island is 741kms2, of which the vineyards occupy about 490 hectares. The island relief is steep and a mountain range that climbs up to 1.862m (6.109Ft) in altitude above sea-level – the highest peak is Pico Ruivo – runs the length of the island, virtually dividing it in tow, and causing 7 different micro-climates that have a determining effect on where the vineyards are planted. The overall sub-tropical and temperate climate, together with the fertile volcanic soils provide perfect conditions for the growth of a wide range of different crops. Wine International Silver Medal"Lovely dark brown colour. Christmas spice and lime character on nose. Good weight. Lime marmalade on palate. Strong alcohol. Good balance and good length." "This 5 year old Malmsey is a full bodied, rich Madeira with a long lingering finish. It is best when served after a correspondingly rich meal, on it sown or with a simple dessert to appreciate its mellowed robust character to the full."